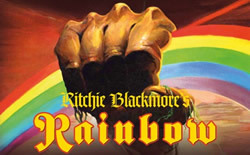 A third show for Ritchie Blackmore’s Rainbow has been announced for June 25 at the Genting Arena in Birmingham, UK. It will take place at the Monster of Rock Festival in Bietigheim (Germany) at the Viadukt. Tickets will go on sale at 6th November.